The well renowned homebuilders “Adera”, who are famous for building green homes and developing an environment friendly lifestyle, have launched their well awaited project “The Shore”. It is a creekside development which consists of one, two and three bedroom homes. The shore is constructed around Mosquito Creek and a great emphasis has been given to create amazing private outdoor spaces. The suites will be great for people who love to entertain and spend their weekends with friends and family in a tranquil environment. The Shore’s modern architecture is harmonius with nature. This is achieved through the perfect use of wood, glass and metal elements that blend with the development's surroundings. 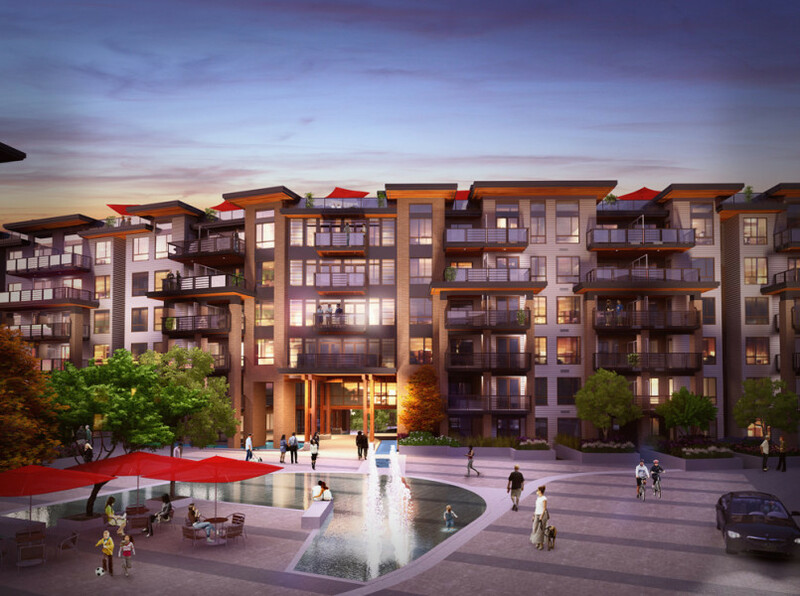 The development's location possesses the best of everything as it's close to nature yet offers easy and quick access to countless amenities on the revitalized Marine Drive corridor. It's also located only a few blocks from Burrard Inlet and a new bike & walking path, dog park and picnic area. The Shore stands out from other developments! It blurs the boundaries between indoor and outdoor living through it's extra large outdoor spaces, elements of nature throughout the finishings and by optimizing the amount of natural light in the living areas. 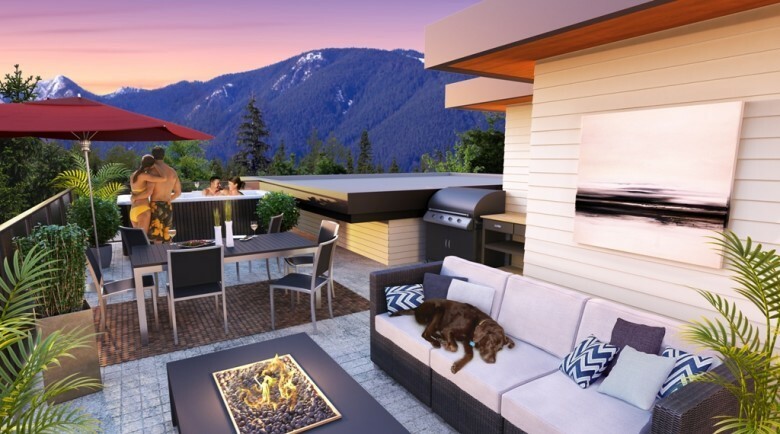 Private rooftop lanais with a serene view to the Vancouver city skyline and the North Shore Mountains. Evocative creations like huge floor-to-ceiling windows and flat-roof overhangs with wide cedar soffits. Rooftop patios for top-floor suites. LEED certified homes, in-floor radiant heating. Great number of choices in flooring, custom closets and millwork. Luxurious ambience of kitchen with under-cabinet LED lighting, Frigidaire counter and soft-close cabinets. Access to the West Coast Club, with lounges and fitness areas. The 200-car Modo co-op membership. Project Builder: Adera Development Corp.